There are many methods to compost at home. Here’s a quick list from the most hands-on to the quickest and easiest. All equally as effective though! If you have an outdoor area, you can keep your own compost bin in your backyard. You can build your own with anything from chicken wire to pallets or there are tons of options for sale as well (see the ones we use at Springdale Park here). The key to a successful and productive compost pile is having a balance of both “greens” (or organic nitrogen sources like fruit and vegetable scraps or grass clippings) and “browns” (or organic carbon sources like leaves, twigs, or sawdust). Keep your pile most and toss it occasionally to give it air and then the microorganisms will do the rest for you! Vermicomposting is the process of composting using worms! As worms chew through your fruit and vegetable scraps, they create nutrient-rich castings that are great for your garden. There are many worm bins on the market but you can also create your own. Just provide your worms with some ventilation and moist bedding (like newspaper or straw) and feed them your cut up fruit and veggie scraps about once a week and they’ll be happy! Bokashi composting is a quick and easy way to compost just about all of your kitchen scraps by using select microorganisms to anaerobically ferment organic waste. With this method, you do not need to balance your nitrogen and carbon, there is no odor, you can compost just about anything, and you don’t need to turn or mix it. It also works great in conjunction with a vermicomposting system. I am still looking for a local source for Bokashi bran but it is widely available online. Our friends David and Leo, of CompostWheels, have been working with Springdale Park families since last year to create opportunities for our kids to compost at home (see a lesson they did with our 5th graders here). They make compost as easy as collecting your fruit and vegetable scraps in a bucket and leaving it out for street pick-up once a week. Compost Wheels will also deliver your finished soil or donate it to SPARK or other farm and garden partners. Check out their website to sign up! Here is a video of Johnny composting all the way out in Tulsa, Oklahoma on his Labor Day weekend! 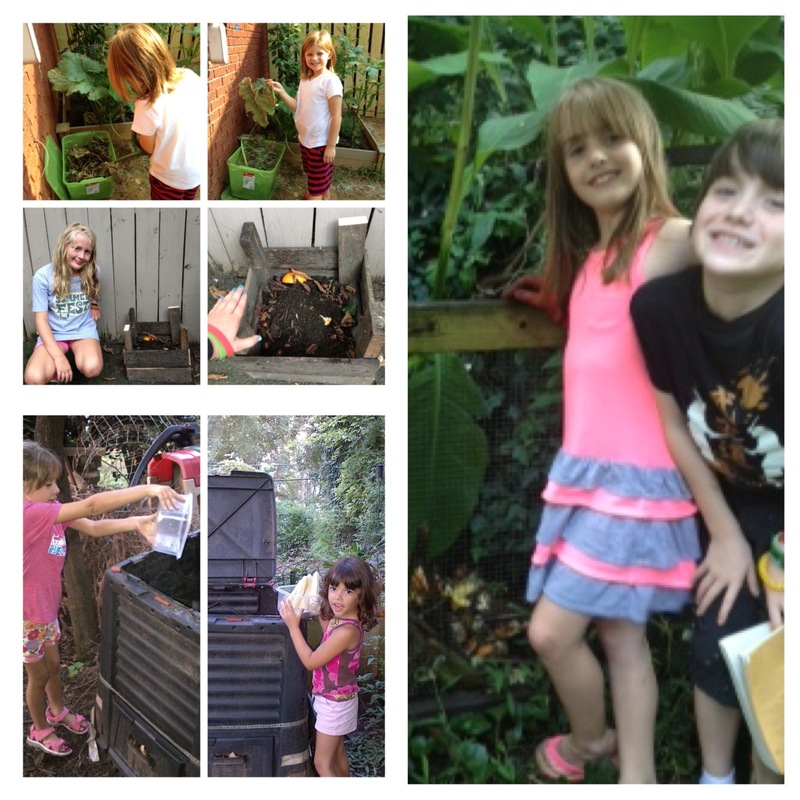 Here is Sophia composting at home too!